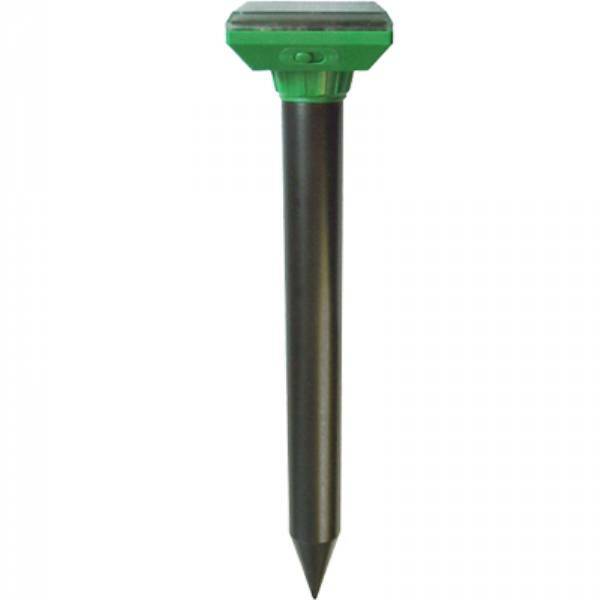 Sol-Mate Solar Mole & Gopher Chaser, MFG# P7911, repels unwanted burrowing rodents with an irritating 400 Hz tone. Charge lasts up to 5 days. Covers 7500 Sq. Ft. Unobtrusive design, won't bother pets. 11.4 in long.